I've been eating cake AND drinking champagne today because the lovely Nicola Morgan has come to visit! As a long time reader of her blog it's a huge thrill to be able to help her celebrate the release of her new e book - Sleepwalking and The Passionflower Massacre. 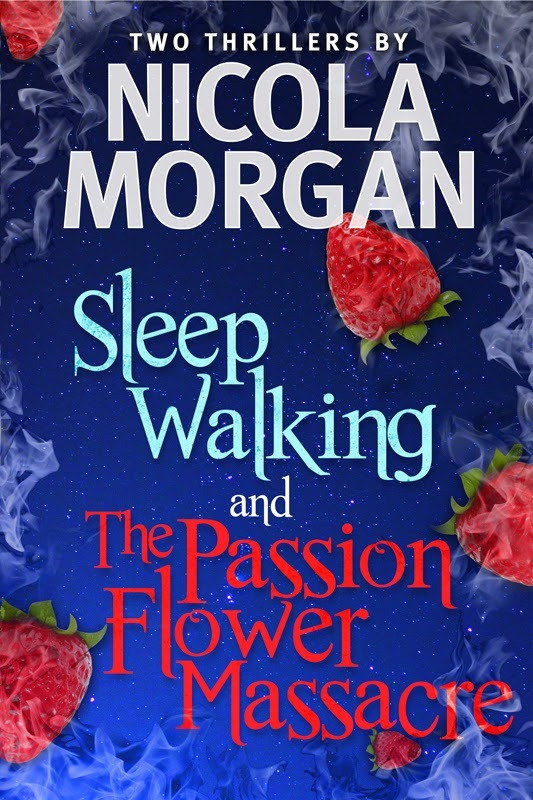 Nicola Morgan is an award-winning author of nearly 100 books, including YA novels Wasted, Fleshmarket (in adaptation for London stage), Mondays are Red and The Passionflower Massacre, and her renowned book on the teenage brain, Blame My Brain. She speaks internationally on topics including adolescence, the reading brain, and all aspects of writing and publishing. 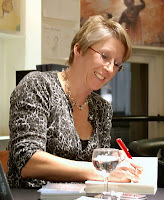 Nicola’s advice for writers is much respected, including her book, Write to be Published, blog, Help! I need a publisher. and ebooks Write a Great Synopsis and Dear Agent, as well as her manuscript critique consultancy, Pen2Publication. She has also successfully self-published. 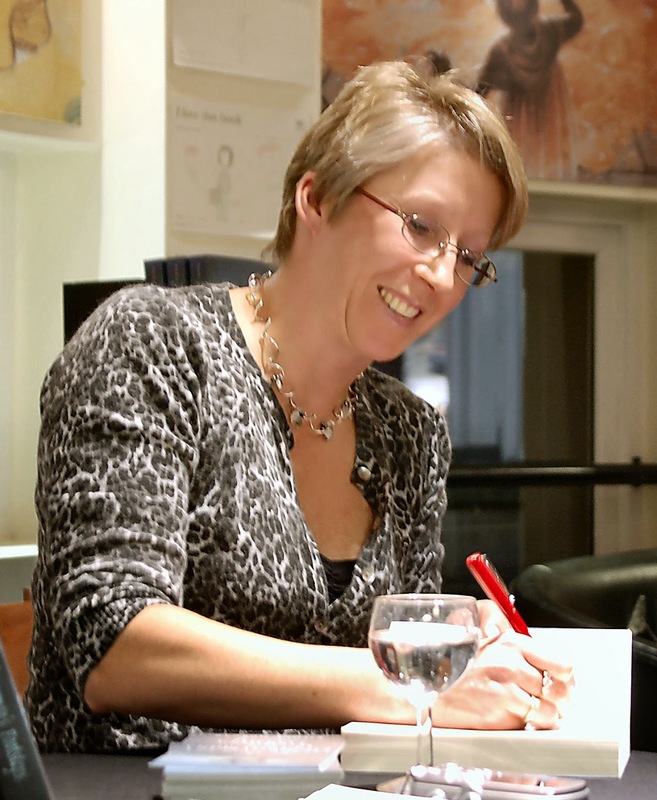 Nicola is on the Children’s Writers and Illustrators Group committee of the Society of Authors and formerly chaired the Society of Authors in Scotland. She recently joined SCBWI. The Passionflower Massacre and Sleepwalking (combined in one ebook) Deep, mind-stretching, coming-of-age thrillers, appealing to readers who enjoyed Wasted. Passionflower Massacre: An 18-year-old girl and a charismatic cult-leader, both damaged by their pasts. A summer of strawberries, freedom, heat, passionflowers and murder. Twenty-five years later, an old woman with secret reasons for visiting the cult-leader in prison. And a final twist. Sleepwalking: In a cowardly new world, the Citizens are free from suffering. But the Outsiders fight for real freedom and the power of language. When a virus strikes, four chosen teenagers will need courage beyond imagination. If they can’t solve the City’s chilling secret, they will all die, along with Hope. 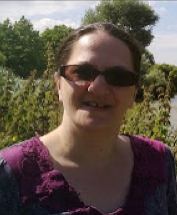 And because we asked very nicely and because Nicola is not quite as crabbit as she may claim, she has also shared the reasons behind self publishing her backlist. We often hear about authors ebooking previously published books. SCBWI members might like to know why most books go out of print and whether writers can really do what the original publishers perhaps couldn’t. So, I am interviewing MYSELF for you! Inteviewer (AKA Nicola Morgan) : OK, so, if these books went out of print, they failed, right? If they were such a pile of crock, isn’t it a waste of time to republish them yourself? Me: Actually, you cheeky person, they didn’t fail! Or at least, not in terms of reviews and fans. Sleepwalking even won the Scottish Arts Council Children’s Book of the Year. I still get people telling me one or other is their favourite of my books. Interviewer: Why did they go out of print, then? Me: When any print-run has almost sold out, the publisher decides whether to reprint, based on the sensible question, “Do we think we can sell another print-run easily enough to justify the cost?” Several factors affect this. Publishers look at the recent rate of sales and work out whether a) that’s enough to justify a reprint and b) if not, whether that rate could practically be increased. Now, of course it could be increased, with effort (which costs money because you must pay the people making the effort.) But publishers have many books to promote, with finite resources; so, if the necessary resources exceed the likely benefit, you don’t reprint. Interviewer: So, frankly, what you’re saying is that the novels did fail – they failed to sell. Me: No. (*grits teeth*) They failed to achieve critical mass so that they would sell themselves. Most books fail at that. This is the fundamental thing we must all understand: every publishing contract is a combination of the passionate desire by publisher and writer that a book will succeed and the belief that it deserves to. But the luck fairy has to sprinkle magic dust and she’s pretty mean and unpredictable. Interviewer: So, what makes you think you can do better than a big, highly professional publisher? Me: I have no confidence in that. I don’t have the time or the resources to do what’s probably necessary. Just as publishers have other books to promote, so do I. And not just other books, but other genres and completely different fields – my brain books and my how-to-be-published books, for example, not to mention the other things I do to try to earn a living – tea-towel, anyone?! I’d love (need) to make some money but I’ve no expectation at all, and I’m not just saying that. Interviewer: So, why do it? Me: Because of the people who write to tell me how much they loved those books. Because I put a massive effort into writing them. Because I didn’t write them for them to be invisible. Because they are there. Because they’re worth it. My message to you all is this: when you get your first publishing deal, rejoice and be proud. But if/when it goes out of print, don’t be ashamed or surprised or afraid. It’s a new opportunity to find new readers. It’s fun, and simple, and right. The only bad thing about it is that I can’t rely on a publisher to ask you to buy it: I have to ask that myself. Pretty please with sprinkles on. Big thanks to Nicola for asking herself those cheeky questions and sharing her reasons and publishing expertise with us. I'm sure you'll all raise a glass and wish her the best of luck with her new e books! Glad you found it useful Colleen. Nicola has such a breadth of experience and wisdom about publishing, we're very lucky to have her share it! Nicola, thank you, very interesting on reasons to self publish. Aren't ebooks a great resource for authors with a backlist? Congratulations on getting PFM and Sleepwalking out there again! Congratulations Nicola! Thanks for answering the tough questions honestly. Both books sound great so glad you've decided to self-publish. Arghhh! There seems to be some misunderstanding, and on twitter - I was interviewing MYSELF! They were my questions... Lorraine, can we add something to make it even clearer? Think I've made things clearer now Nicola!